More than a Corporate Headquarters. Established in 1871 on a mission to inspire, inform and influence the global engineering community, supporting technology innovation to meet the needs of society. 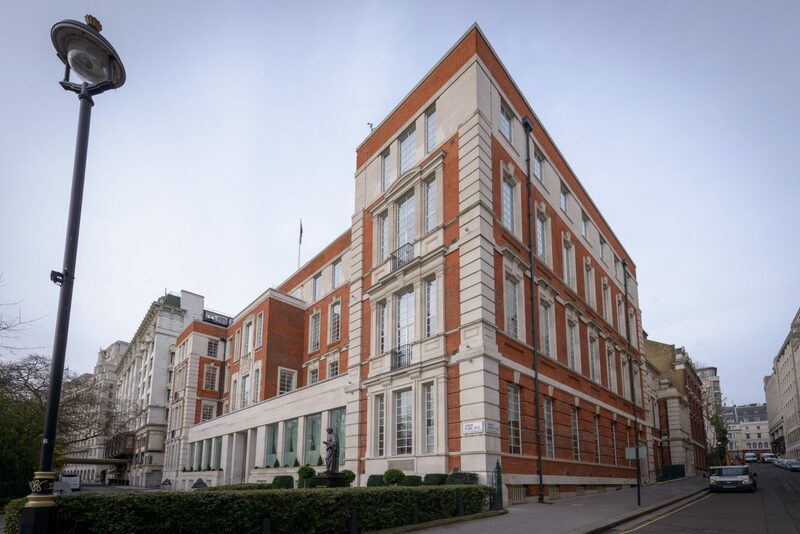 Savoy Place has been home to the IET since 1909, and the site has a very interesting history dating back to 1246. 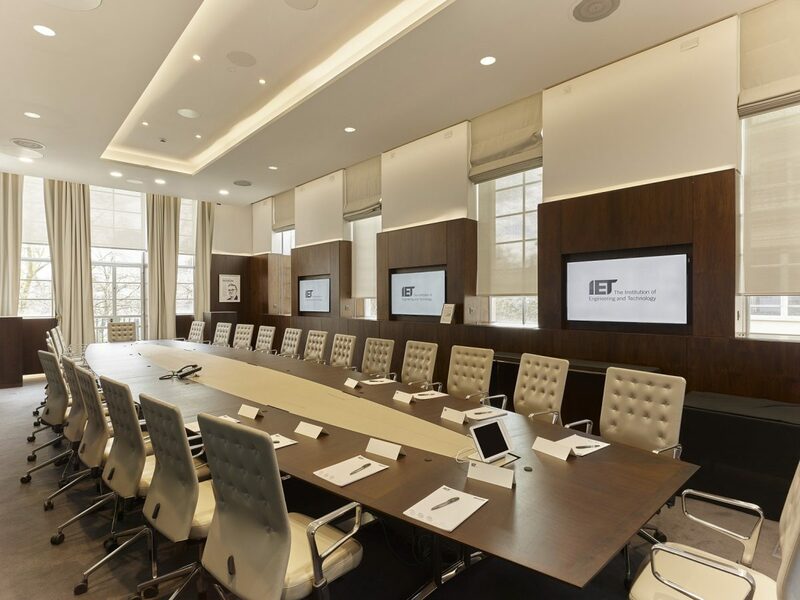 IET commenced a £30 million refurbishment in 2013 upon receipt of an approval letter from Her Majesty, The Queen. 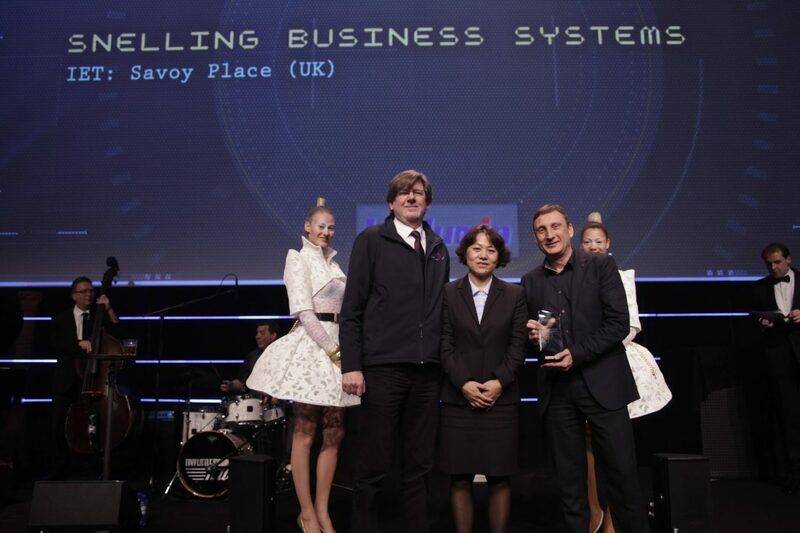 Savoy Place is a common venue for BBC live broadcasts and for the Prime Minister’s press events, and was awarded ‘Best UK Venue Brand’ three years running for event hires. 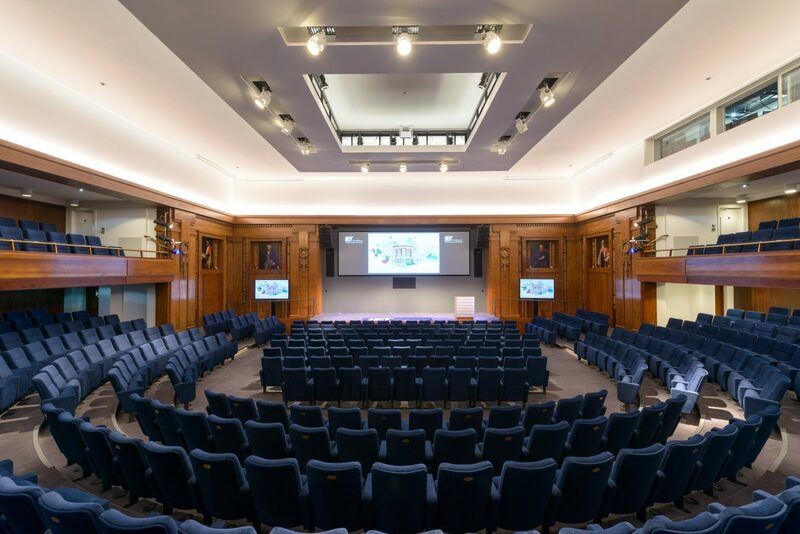 Keeping the target audience in mind, AV/IT systems had to be developed for use by members of IET as well as for marketing a venue of status to the event-hire market. 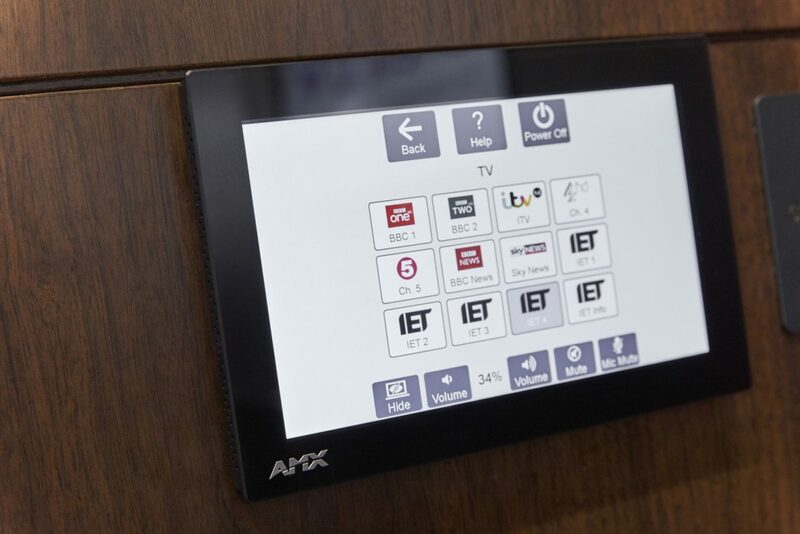 The brief included building-wide IPTV, video and audio conferencing, video streaming, and outdoor broadcast points. 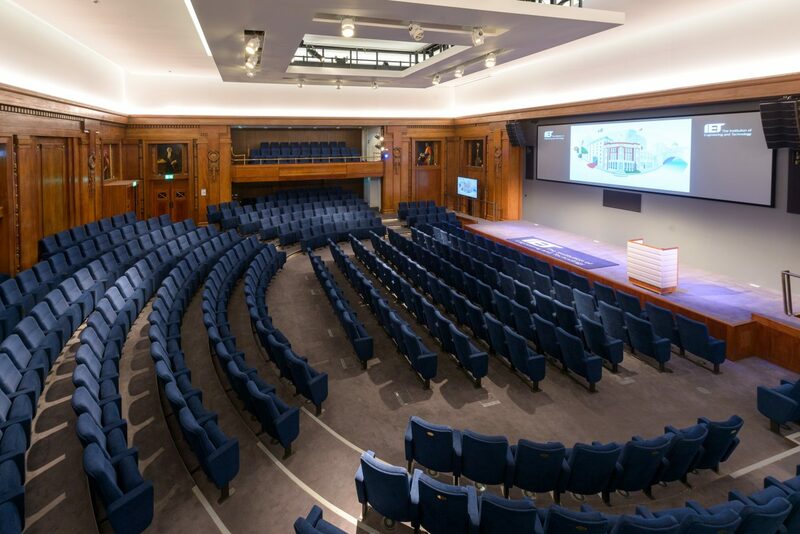 The Kelvin Lecture Theatre: flagship conference space for both IET members and external clients. Equipped with ‘Europe’s largest 7.5m infinity screen’ with cinema-quality 5.1 surround sound capability and a built-in stage. 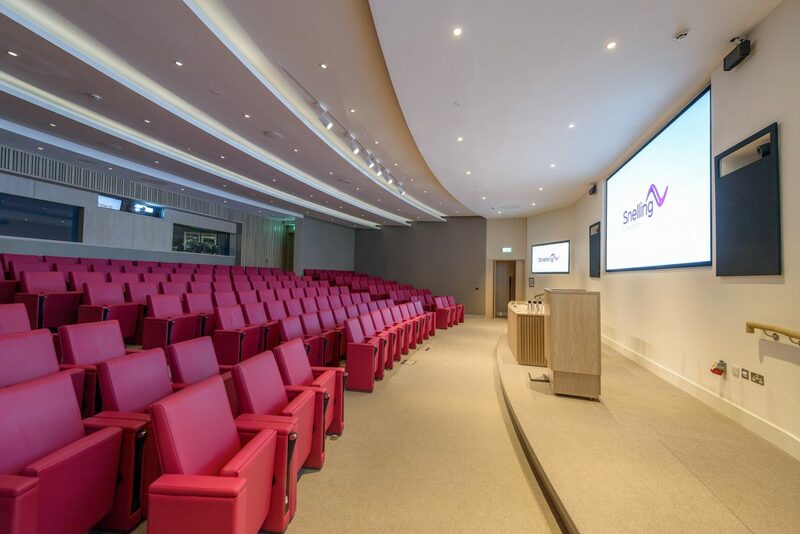 The Turing Theatre: smaller than the main Lecture Theatre, this tiered auditorium seats up to 175 people. 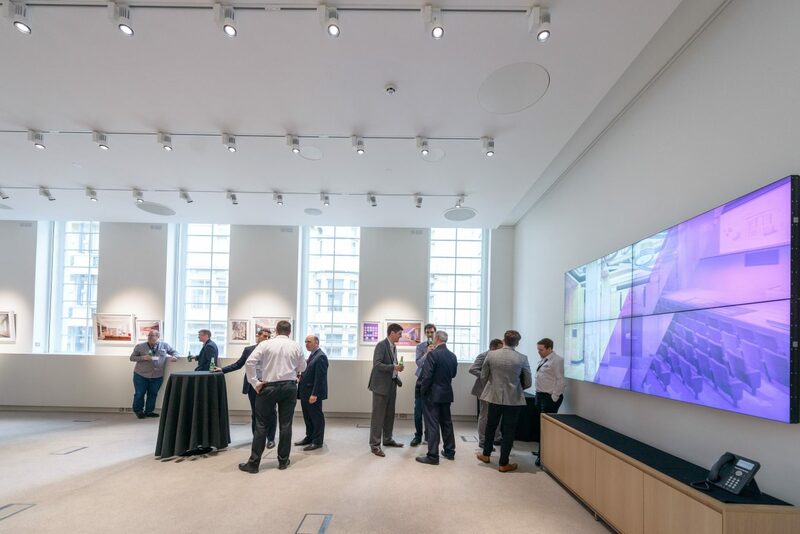 It has the latest AV and technology available, with a large screen and virtual event connectivity. 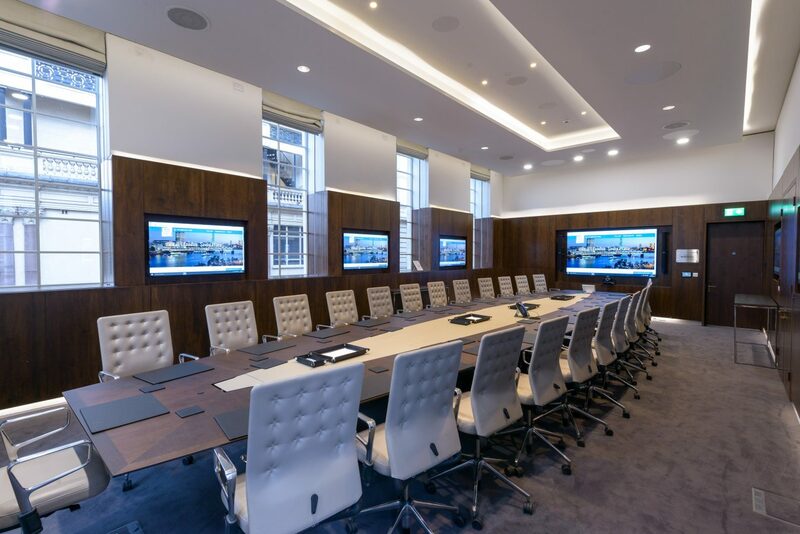 Siemens, Wedmore & Lovelace Boardroom: highly premium executive meeting spaces in central London with the latest AV technology is an exceptional setting for board level meetings, networking events. 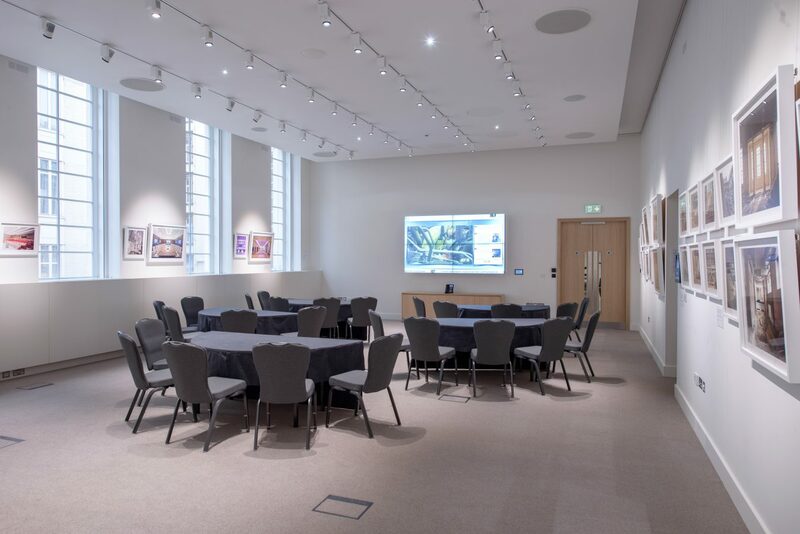 9 Meeting & Conference Rooms: AV/VC facilities are designed for highly versatile spaces, capable of being utilised for meetings, presentations, speeches, conferences, exhibitions, dining and registration areas. 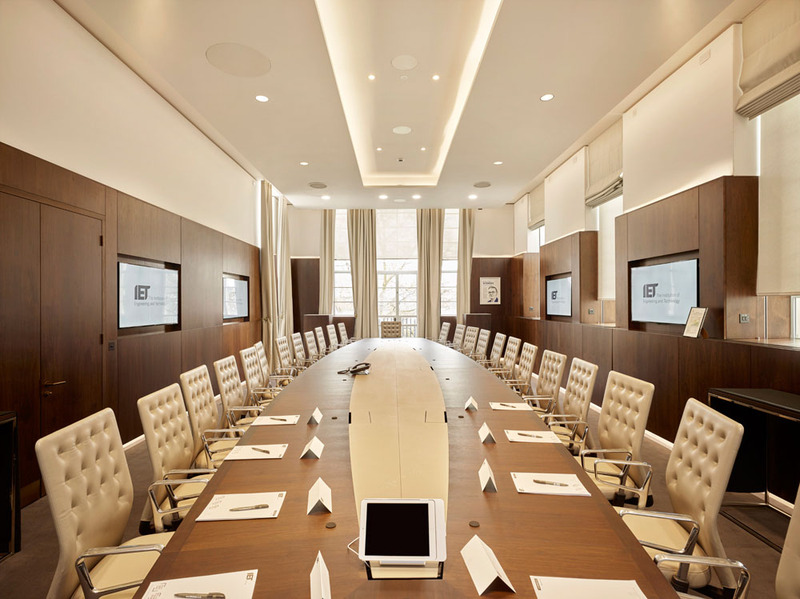 9 Video Conferencing Rooms: small meeting rooms which cater for up to six people, ideal for meetings and interviews. 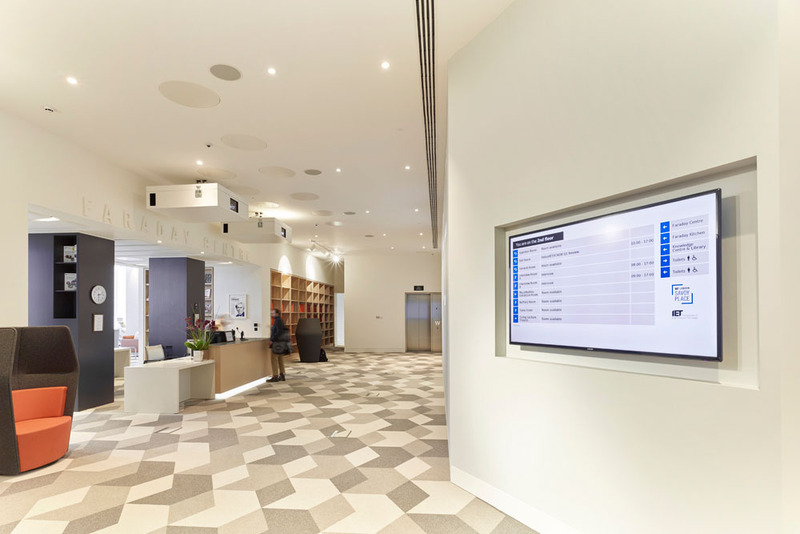 Latest video conferencing infrastructure and large HD screens. 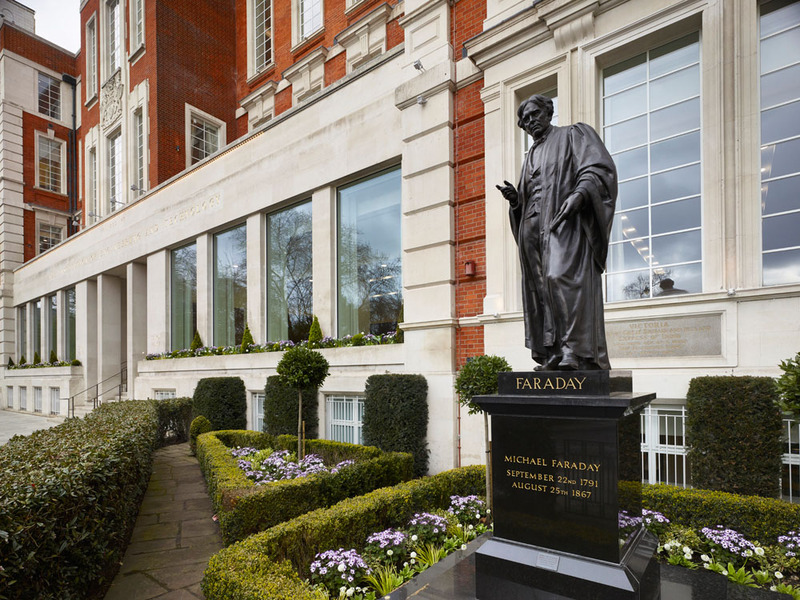 Faraday Library & Riverside Suites: digital signage, display and projection facilities for prestigious and hugely flexible spaces for events such as exhibitions, large conferences, awards ceremonies, speeches and private hires. 4 Members Areas: Soft seating Booths designed for informal use by members on the second floor. Each Booth has wall mounted 42” LED Display with connections for Laptop VGA/Audio/HDMI presented to wall mounted connectivity plate mounted directly below the screen. 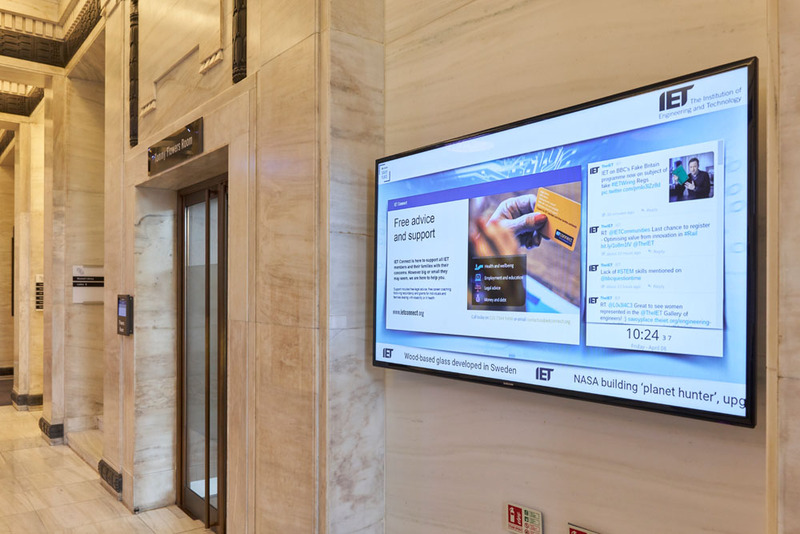 Digital Signage: 2×2 video wall, 1×2 video wall, edge-blend projection (Faraday Wall), fifteen 70” signage displays and 29 meeting room 10” signage screens. 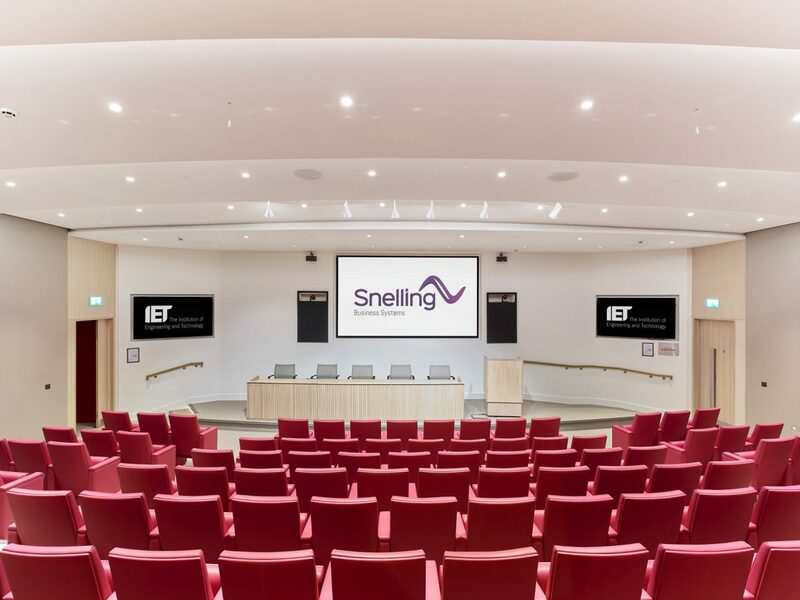 “Snelling Business Systems have proven to be very capable AV integrators not only for meeting the specifications of the brief, but also for their sound advice and technical know-how throughout the course of the project. We had set extremely high expectations to meet the needs of the Savoy Place, which we intend to promote as one of London’s most premium venues. 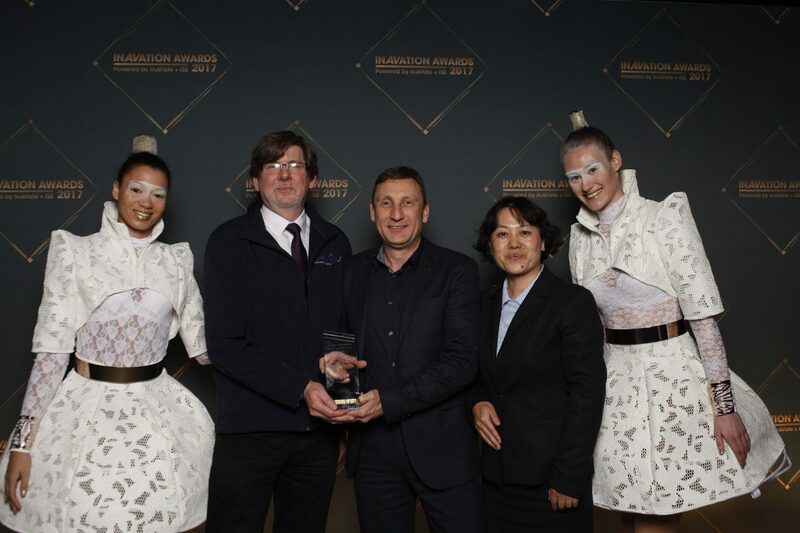 I’m delighted to say this has been achieved as evident from our sales and revenue figures. 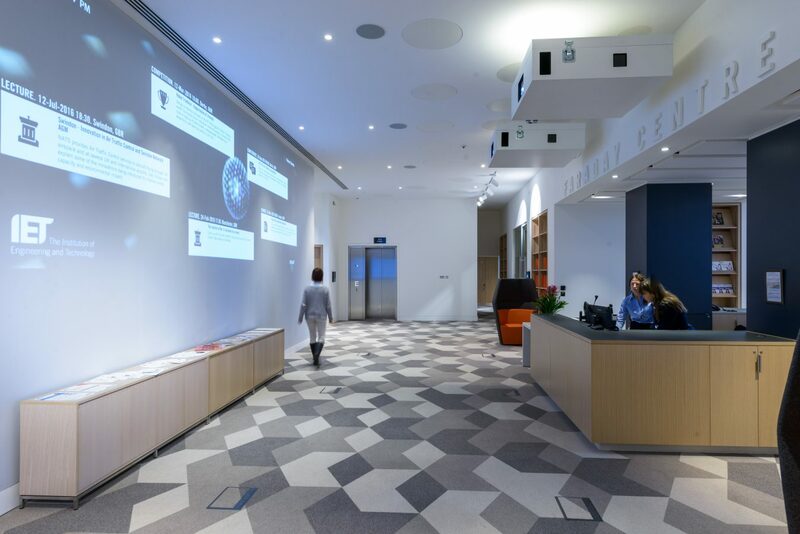 The process they followed to assess and understand the needs of all audiences that would use the spaces has worked to our benefit”. 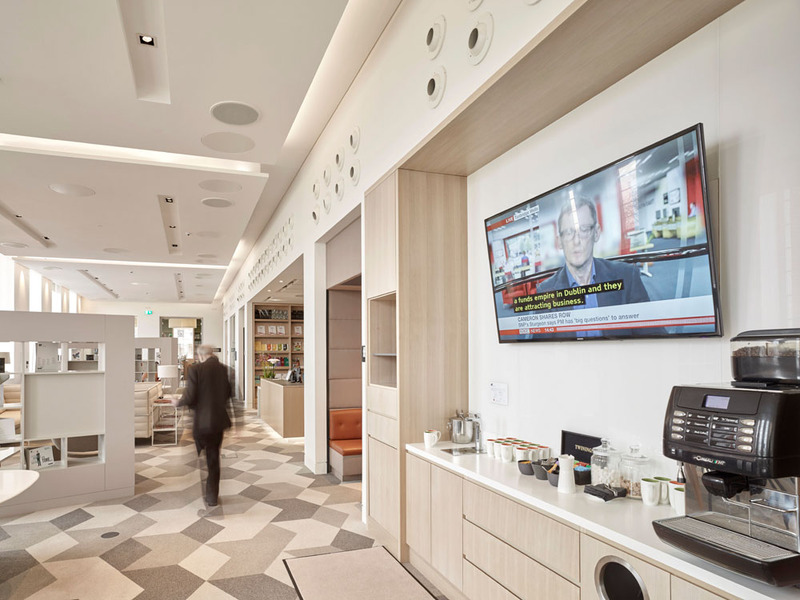 Being a refurbishment project and not a new-build, from a technology integration point-of-view, made this project inherently challenging. 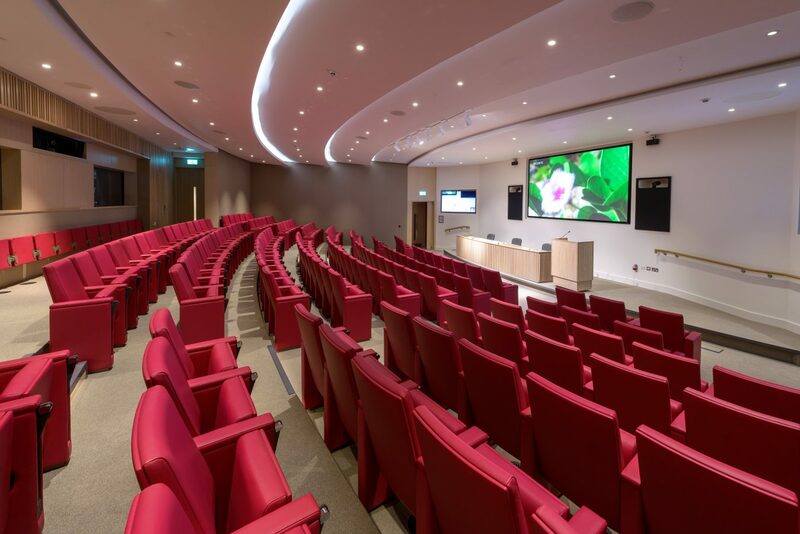 We worked closely with IET and Building Contractor’s project management teams to ensure we delivered on time and budget. 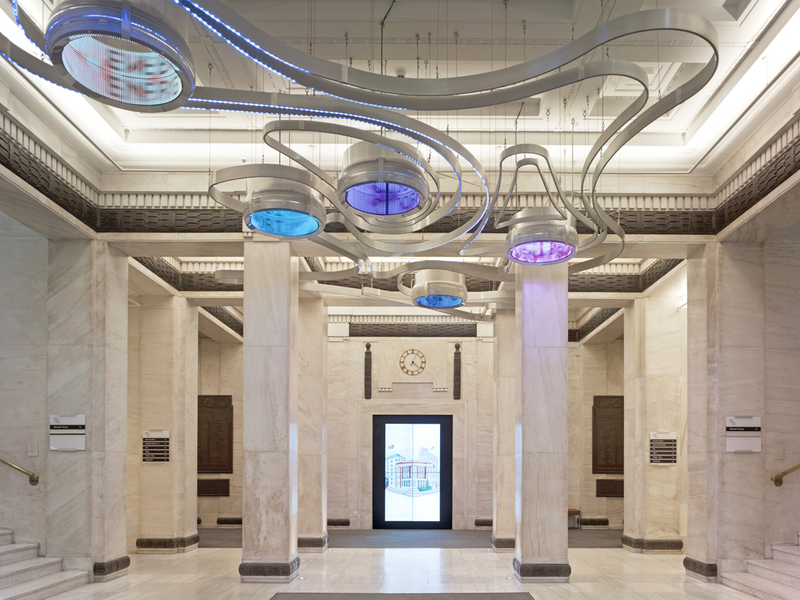 Download the IET Savoy Place Casebook.